Research shows men will spend more cash on Mother’s Day than any other celebration this year, but isn’t it the thought that counts? 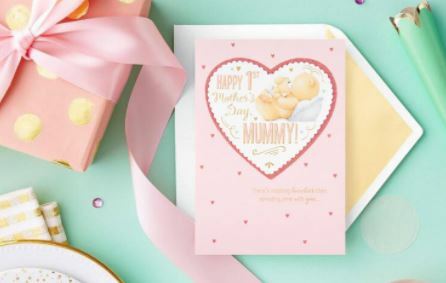 With Mother’s Day quickly approaching on Sunday 11th March, children across the country, young and old, will be rushing out to purchase gifts for Mum. Spending more money doesn’t make it more thoughtful. A recent study by Mintel found that on average, sons spent just over £40 on a Mother’s Day gift, when compared to just under £29 for daughters. Whilst on first inspection this might suggest men showed more generosity, looking closer reveals a telling reason why this is the case. Almost a quarter of all men that bought Mother’s Day gifts admitted that they bought on Impulse, a last-minute panic purchase - maybe not so thoughtful after all! Research suggests that how you present a gift is just as important, if not more important, than the gift itself. A study in Stanford Business found that presents that were given adorned with a bow, were found to be much more appreciated than those without, independent of the cost of the gift, the little touches really do make all the difference! It may be a phrase of thought – but it’s literal meaning warms our heart. If you look in a dictionary, you’ll find the definition of ‘the thought that counts’ to be a sweet one. The thought that counts is used to indicate the kindness behind the act being the thing that matters, as opposed to the act itself. If we think about it, that’s something Mum has always brought us up to be, kind. Contact ellie@visibilis.co.uk, 0113 833 0239. This press release was distributed by ResponseSource Press Release Wire on behalf of visibilis in the following categories: Men's Interest, Entertainment & Arts, Leisure & Hobbies, Home & Garden, Women's Interest & Beauty, Media & Marketing, Retail & Fashion, for more information visit https://pressreleasewire.responsesource.com/about.